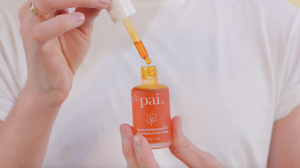 Our Rosehip BioRegenerate Oil is an everyday skin hero to keep your skin looking and feeling its best. But, did you know there are even more ways to use our multi-tasking Oil? From scars to split ends, here are our top tips. 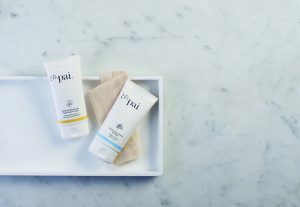 Warm a few extra drops of Oil between your palms and massage into the skin using our top tips to tone and de-puff at home. Rosehip Oil is rich in anti-inflammatory Omegas that help to soothe and smooth irritated skin. Cleanse with a detergent-free cleanser and condition distressed skin with 3-4 drops of Oil. Gently exfoliate with our Kukui & Jojoba Skin Brightening Exfoliator and follow with 2-3 drops of Oil to feed newly revealed skin. Blend 1-2 drops of Oil with a few pumps of your favourite moisturiser before applying. Rosehip’s high levels of regenerating sterols and carotenoids can help to draw spots to a head or make them disappear altogether. Massage into clean skin 1-2 times per week. Skiing or flying? Lock in moisture by applying 2-3 drops of Oil over the top of your favourite moisturiser. Mix a few drops of Oil with your Body Cream and massage into skin after showering or bathing to soothe and repair. Rosehip Oil helps to improve the appearance of scars thanks to its high concentration of Omegas and Carotenoids. Try massaging 2-3 drops into healed scars 3-4 times a week. Smooth a few drops into the ends of the hair and onto cuticles to nourish brittle strands and nails. Massage 3-4 drops into damp, just-shaved skin to soothe sensitivity and help prevent ingrown hairs and shaving rash.